Is the nautical trend making a comeback? 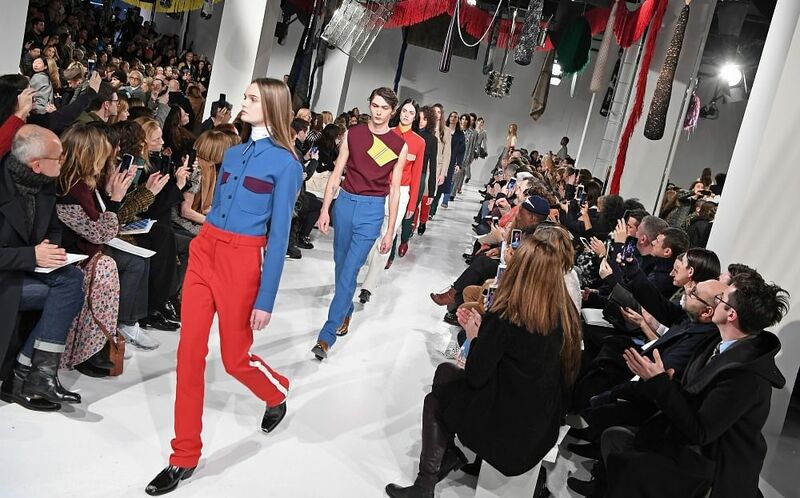 After being announced in November, Japanese brand Uniqlo has now revealed the fruit of its latest collaboration with JW Anderson. 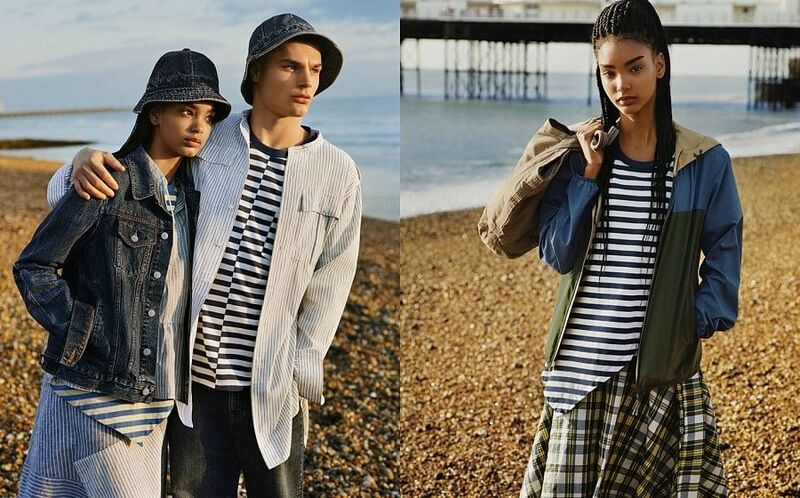 Out from April 19, this spring/summer 2018 collection is inspired by Brighton Beach, celebrating the heydays of this summer seaside destination on the south coast of Great Britain. Combining the British heritage of the London-based label with Uniqlo's LifeWear philosophy, this new collection from Uniqlo and JW Anderson follows September's fall/winter 2017-2018 capsule. The latest offering is inspired by the spirit of the British seaside town of Brighton in the 1950s, channeling contrasts, colors and functional pieces. Comprising 10 womenswear creations and 19 menswear essentials, the collection is steeped in marine influences, with striped T-shirts, knitted polo shirts and T-shirts, as well as seagull-print T-shirts and backpacks. The capsule also features dresses, seersucker bomber jackets, flared skirts, blouses with JW Anderson's iconic ruffles and ribbons, and jean jackets. Colors all channel seaside vibes with shades like dark blue, plus lighter hues like white and beige, as well as bright flashes of color like poppy red. The Uniqlo x JW Anderson collection is out from April 19 in Uniqlo stores and online at www.uniqlo.com, in 19 countries.